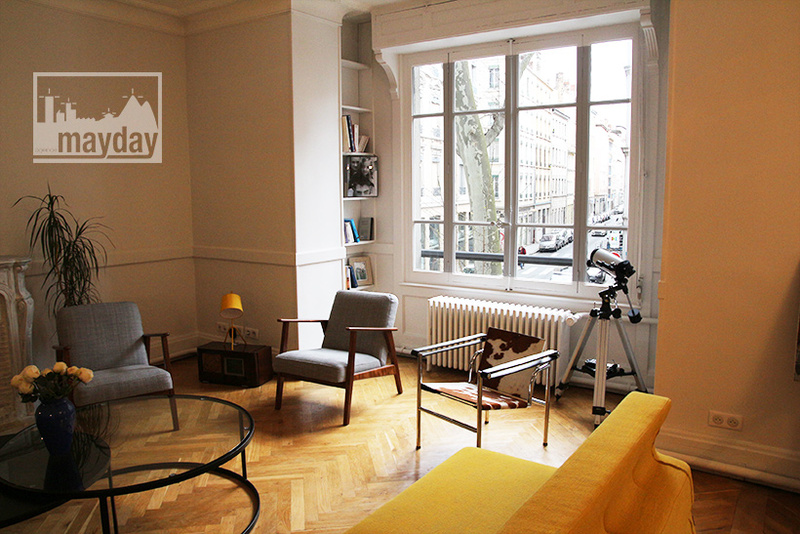 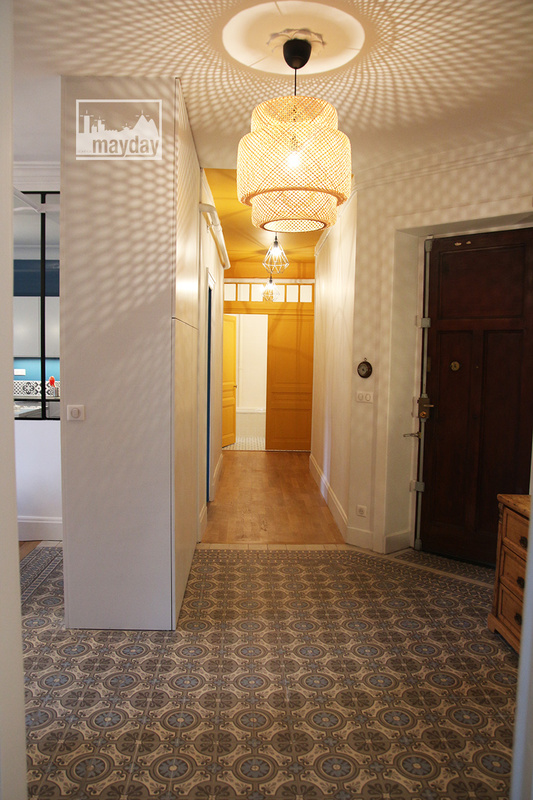 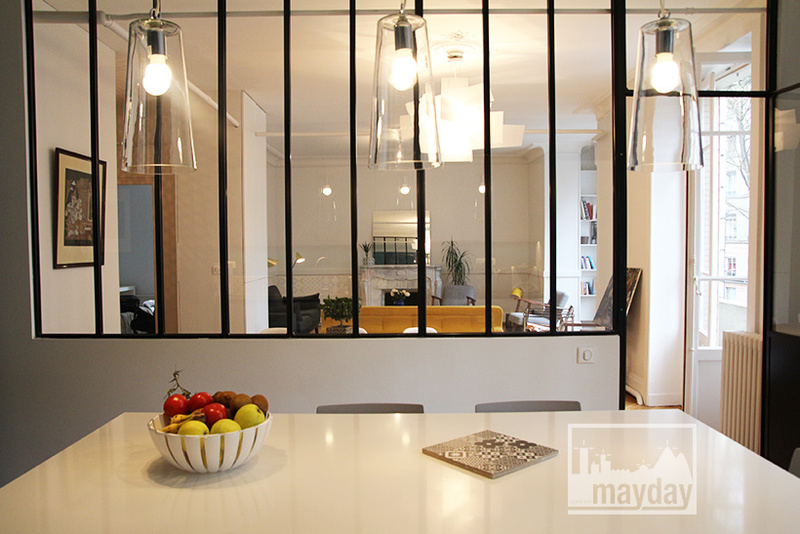 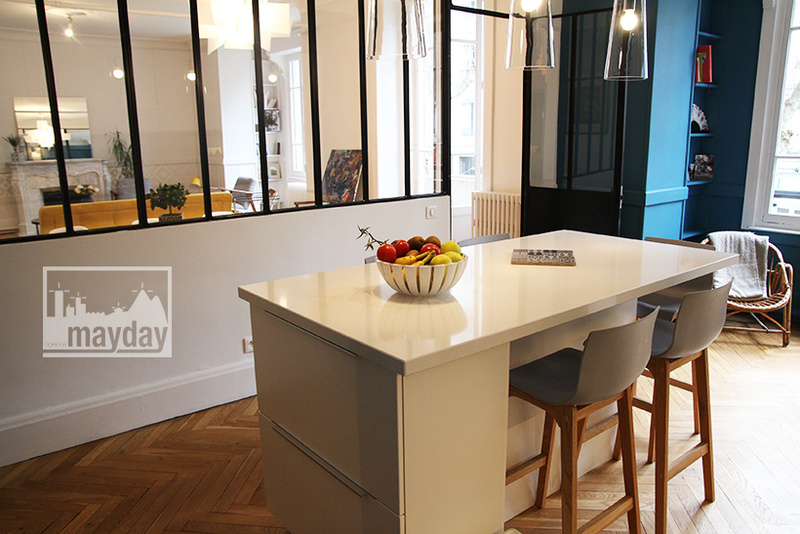 Apartment “The Boulevard Hip”, Lyon (clav0160) | Agence Mayday, scouting agency | Best location for your project concerning : feature films, TV, commercials, promos, photo shoot & events. 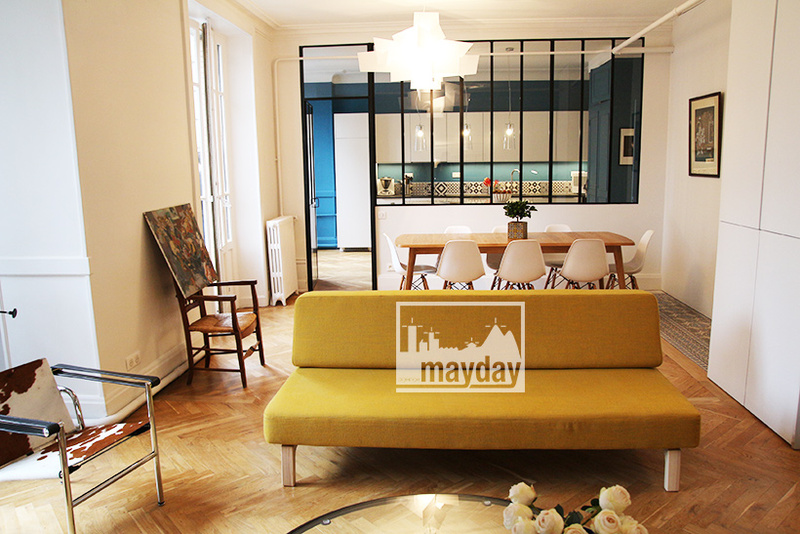 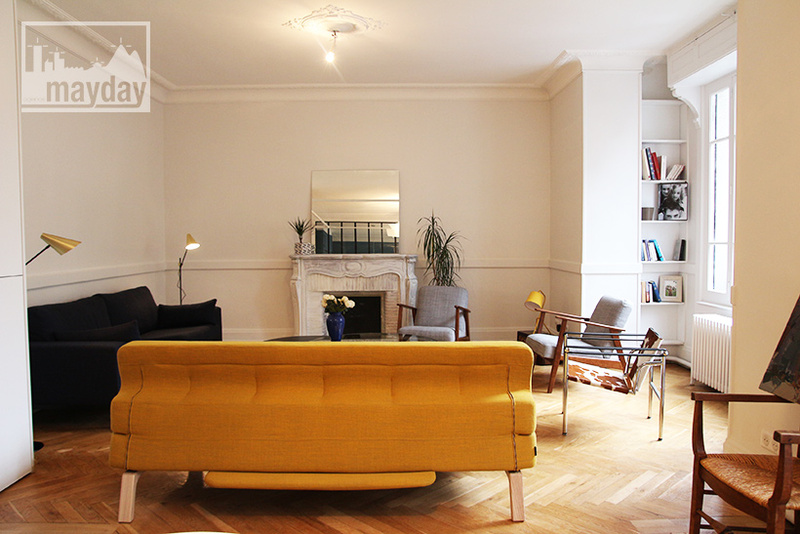 150 sqm flat situated in the heart of Lyon. 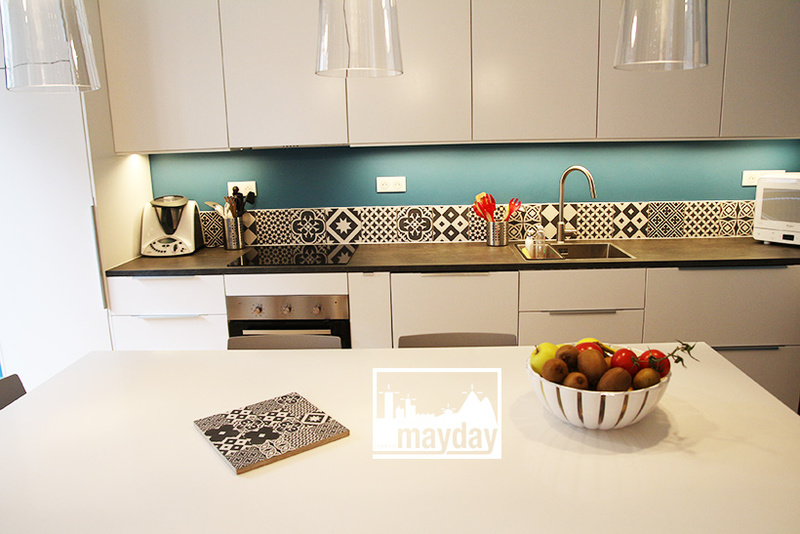 Noisy background to be checked. 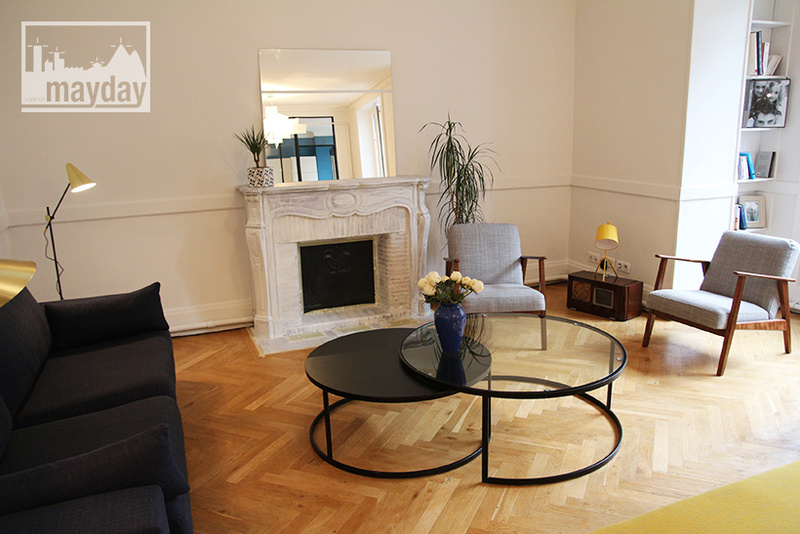 Entrance / corridor opening on 4 bedrooms and the living rooms (60m2). 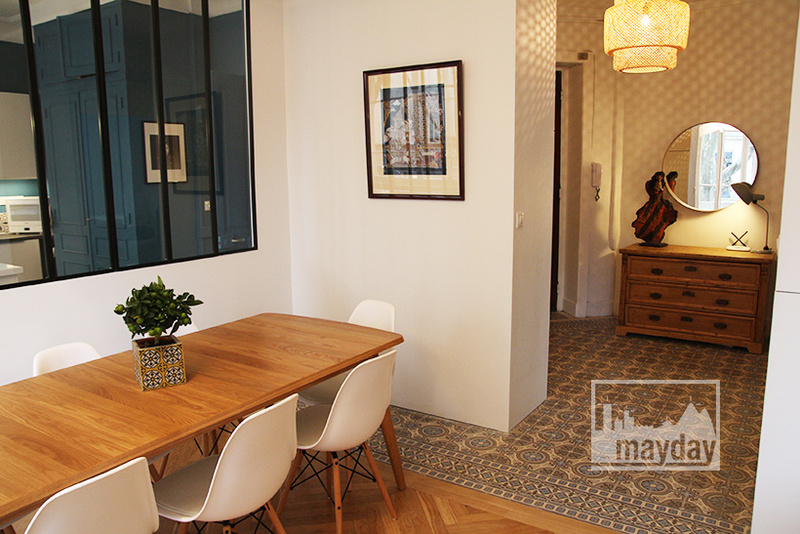 Parquet floors classical dining room facing a modern kitchen with a central island and a glass & metal wall (3m ceilings). 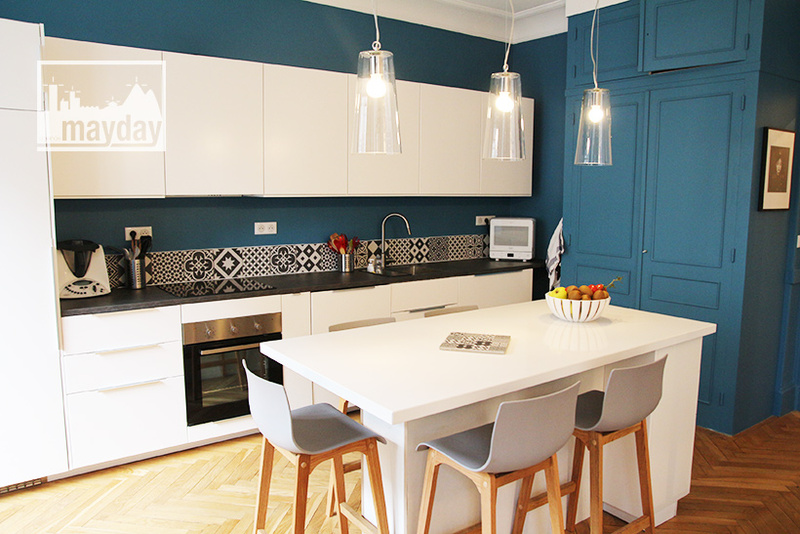 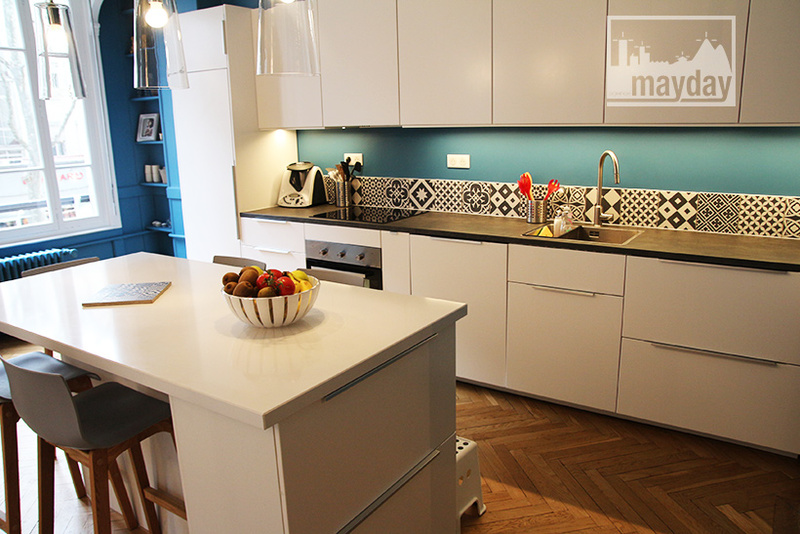 The renovation work of this 30’s flat settles it in modernity through material and colors choices.